We all love dinosaurs, and the idea of a dinosaur as a pet is a common dream. But which one? Which dinosaur would make a good pet? The Tyrannosaurus? The compsognathus? 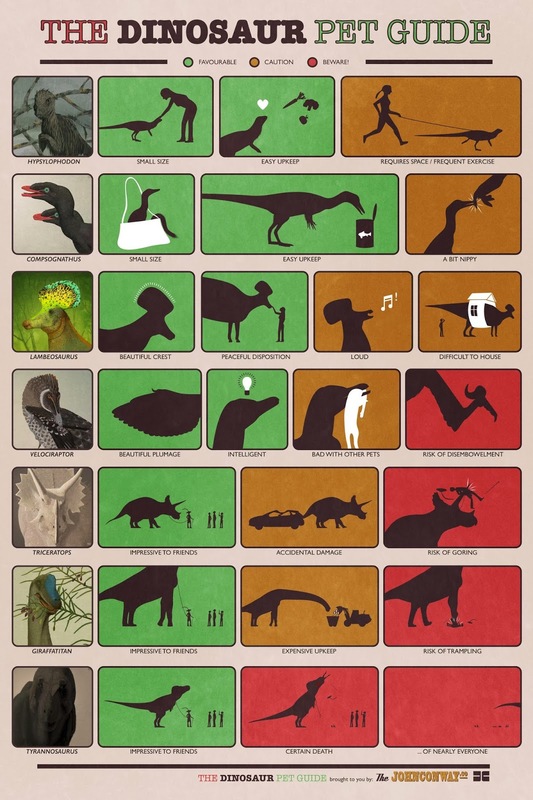 If you ever get a time machine, you'll be ready to snag your perfect dino pet with this handy guide. 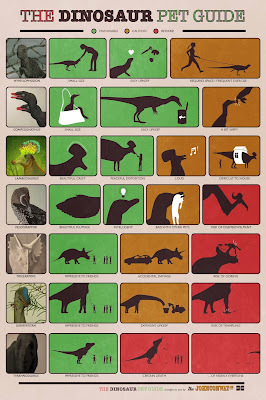 Which dinosaur would be your pet? What will you name it? Let us know in the comments. I don't think my apartment allows dinosaurs. Which one wouldn't eat me if I forgot to feed it? I do have room in the backyard. Thanks to my love of Red Dwarf, I'd like a Tyrannosaurus named Pete, but I don't think my choice is a practical one. I'm partial to the Triceratops, after watching the Doctor Who episode Dinosaurs on a Spaceship. I would name him Tricey, and ride him like an elephant. I would need a lot of golfballs to play fetch with. I don't know why they're talking about potential downsides. I see nothing but good in all of the features! Nope, you're good. I checked.